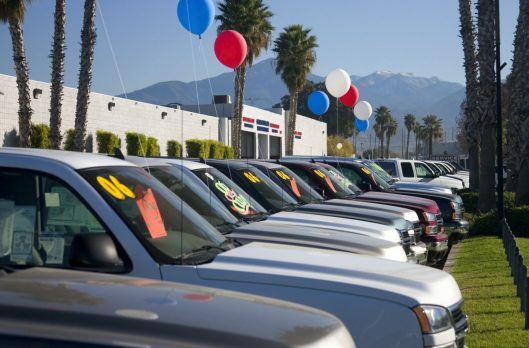 How To Buy New Cars at an Auction with a Dealer’s License? The experience that most people have when buying a brand new car is usually the same. It involves going to one (or several) car dealerships where they have to negotiate with a car salesman or two until they find a happy medium on price versus performance. It’s a flawed system that can usually leave a car buyer feeling drained and vaguely unhappy about the price they paid for their new car – hardly the type of experience one would want to have. Even if you go to a public car auction instead, or use an online auction site, the prices you’ll be paying for your new vehicles might not be all that much lower than if you went in to a dealership and haggled. However, the experience for someone with a car dealer’s license is completely different. This is because car dealers can gain exclusive access to a number of resources, including the dealer auction. These wholesale auctions are not open to the public, as you can only gain access to them if you’re a licensed dealer. The quality of the cars is much higher than at public auctions, while the prices are also lower than you’d find at a dealership. For the most part, you can’t get into these types of auctions unless you’re a licensed dealer yourself. However, there are ways around this. If you have a friend or a family member who’s a licensed dealer and you’re in the market for a new car at a great price, you can attend an auction with your dealer friend as one of his or her “drivers,” or staff members that will drive a car won in auction to the dealership. However, there’s an even better way to gain access to a dealer’s license for buying a brand new car at auction, and it doesn’t even need leaving your home. There are, of course, public and dealer-only auctions that occur at physical locations throughout the country. Often both these types of auctions also provide access to individuals to their stock over the Internet. You can borrow your friend’s dealer credentials to bid on new cars on a dealer-only auction site. However, it’s safer and easier to bid through a website that’s run by a company with dealer credentials of its own. These companies will bid and buy on behalf of you. All you need to do is tell them what car you want and how much you’re willing to pay for it and they’ll do all the work for you. In-person auctions can be very confusing and stressful. Meanwhile, the online auction world is quiet, peaceful, and comfortable. In many cases, if you win an auction on a brand new vehicle, you might not even have to go out to the physical location of the car, as many dealer auction sites will ship the car directly to your door for a reasonable rate. On top of that, you can even buy a brand new car from one of these dealer auctions and have it shipped overseas to a foreign country. The company you bought the car through will handle all the shipping and export arrangements as long as you pay the taxes, import duties, and actual shipping costs. It’s an excellent system, as it’s convenient, efficient, and eminently affordable.